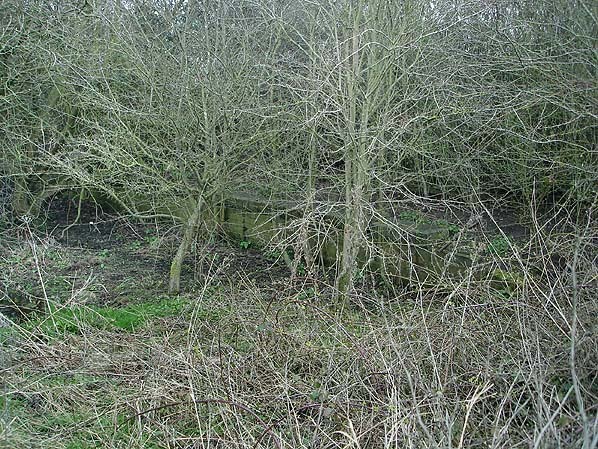 Present state: Both platforms are extant but heavily overgrown. 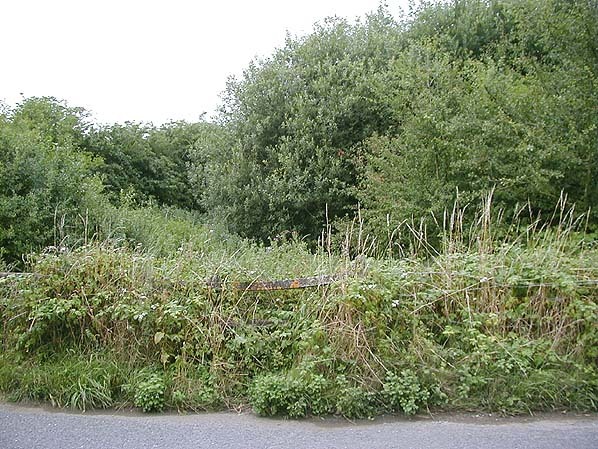 The level crossing gate of the south side of the crossing is also still in place complete with a substantial gate post. Some stones lying around the site might be from the station building. Notes: Elton station didn't open with the line, first appearing in company timetables in January 1847. 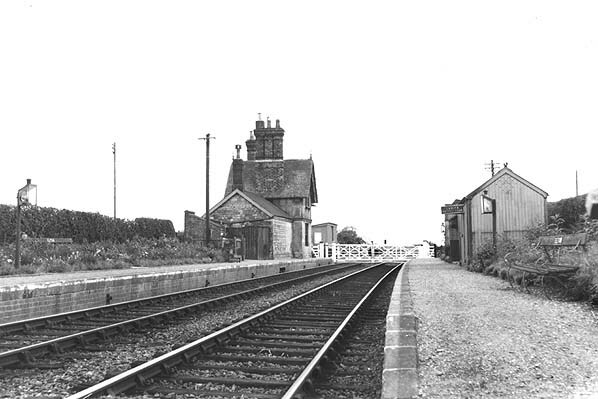 The station had two facing platforms with a small two storey building incorporating the stationmaster's house, waiting room and booking office on the down side of the line adjacent to the level crossing. A gents toilet was attached to the building. A timber ladies waiting room was provided on the up platform. 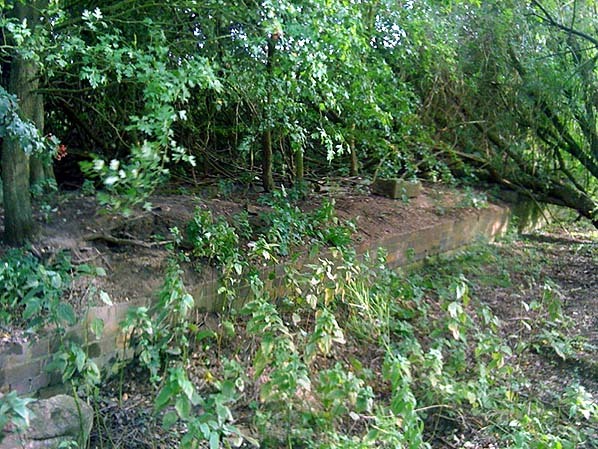 There was a small goods yard comprising one siding and a weighbridge. Although the station survived into British Railways ownership it was little used with five down trains and three up trains on weekdays with no Sunday service. Many trains didn't stop at Elton. 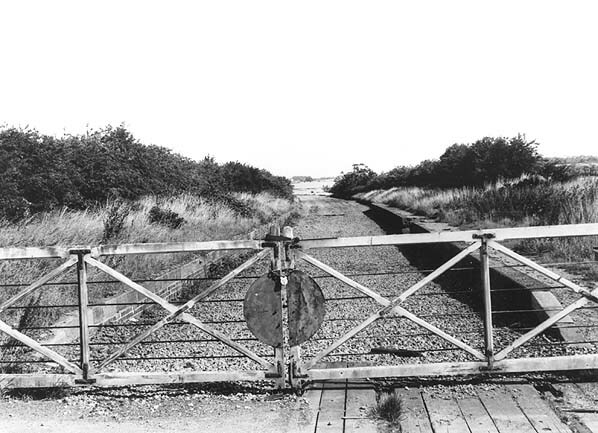 The station closed to all traffic on 7 December 1953. 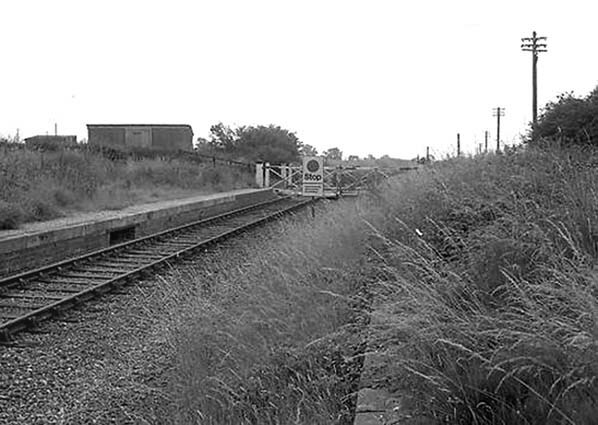 Elton station looking south in August 1974. The up platform at Elton station in March 2008. The up platform at Elton station in August 2011.